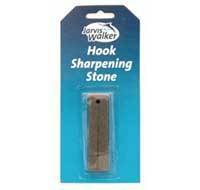 Handy hook sharpening stone with groove to locate the point and hole to accept lanyard. 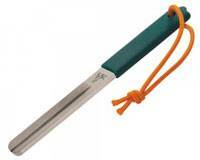 Constructed of stainless steel with dual diamond grit surfaces. It has a fine side - 600 grit, and a medium side - 300 grit. 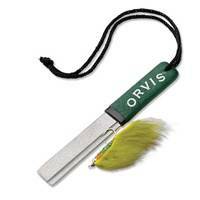 Make each strike a winner with Orvis's handy fish hook sharpener.